I’ve noted in the past that I’m a huge Godzilla fan. I’m also trying to make some room on the video shelf and replacing VHS with DVDs is the best way to do it. It doesn’t hurt that finding a VHS player will someday be near impossible, although I have yet to switch to Blu-Ray. (No HD TV anyway.) 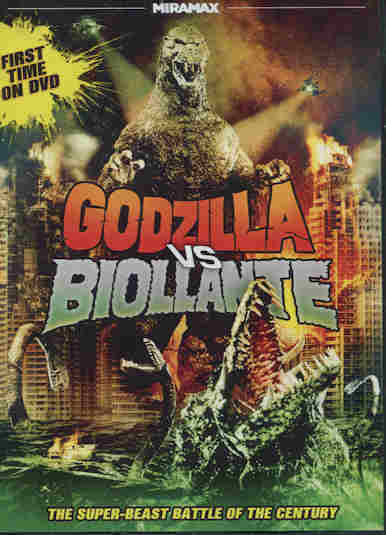 So when I found Godzilla Vs. Biollante at K-Mart for $5 I grabbed it. And paid for it, with the lady cashier even saying it was a classic and she didn’t sound like she was joking. Actually, I don’t care if she was because I happen to think it is. Construction companies must be the richest businesses in Tokyo. Right after cleaning services.